Deyang Dongsen Hydropower Equipment Co., Ltd. is a professional comprehensive technology engineering company including the design, manufacturing, installation and maintenance of hydropower equipment as well as in the hydropower station investment. We have five main water turbine generator set categories: Francis turbine, Kaplan turbine, Tubular turbine, Pelton turbine and Turgo turbine. Each type of turbine generator set capacity could be 100~50000KW. 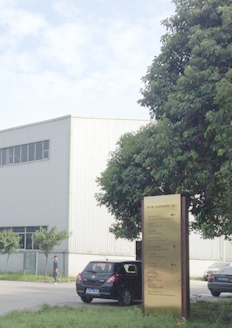 Our company is located in Deyang, one of the three major manufacturing bases of China's heavy industry. We have our independent factory, office as well as living area. Having provided equipment more than 500 hydropower stations with our 70 professional staffs, Dongsen has a high reputation in the water turbine generator set manufacturing industry. The ISO9001:2008 Certificate would guarantee the high quality of our products as we believe the moto “Customer and Reputation comes the first”. We are sincerely welcome your visit and long cooperation. We have five main water turbine generator set categories: Francis turbine, Pelton turbine, Kaplan turbine, Tubular turbine, and Turgo turbine. Each type of turbine generator set capacity could be 100~50000KW. We have our independent factory, office as well as living area. The ISO9001:2008 Certificate and TuV audit would guarantee the high quality of our products. Except the water turbine generator unit manufacturing. DSSD also could provide auto elements like Governor, Integrated Panel, Thyristor Excitation Device, Brushless Exicter, High /low Voltage Cabinet and Temperature Monitor Panel etc. Various of type of runners, like Pelton Wheel, Francis Wheel, Kaplan Wheel, Turgo Wheel, Tubular Wheel, Thrust Pad, Bearing Pad, Jet and Nozzle etc. Pressure Rgulating Valve, Butterfly Valve, Gate Valve, Ball Valve etc. Many upgrade projects like 3×360mw generator upgrade, 48mw Pelton runner maintenance, 2×18mw Francis unit, 5×500kw Propeller unit, 3×630kw Francis unit and 500kw Tubular turbine etc. We have our independent factory, office as well as living area. Having provided equipment more than 500 hydropower stations with our 70 professional staffs, Dongsen has a high reputation in the water turbine generator set manufacturing industry. 2015-2018 Deyang Dongsen Hydropower Equipment Co., Ltd.